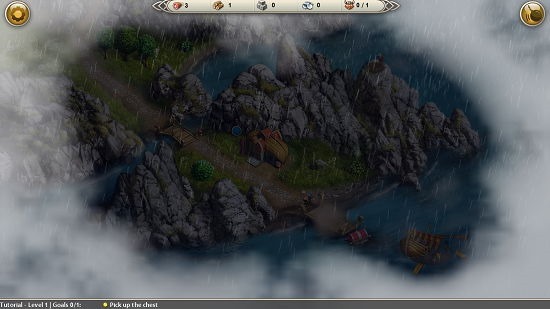 Viking Saga is a free adventure game app for Windows 8 and 8.1 devices. The game when run on your device will prompt you to enter your name, and once you have entered your name in the game, you will be able to access the main menu. Via the main menu, you can go ahead and choose to start the game, access the settings, store etc. options pertaining to the game. The game is very well designed and has a nice feel to it. It has no ads and runs very smoothly, the only minor drawback being its large size. 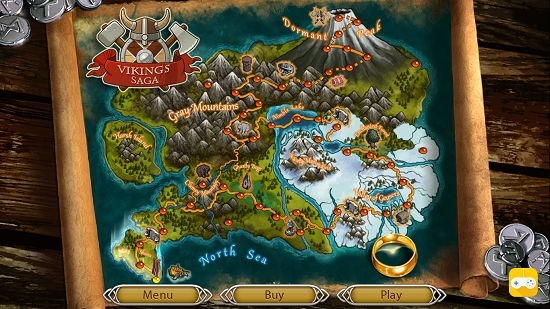 Viking Saga is available for free from the Windows App Store. When you run Viking Saga on your device, you will be presented with the below shown screen. In the above screen, you have to enter your name. Do the same and click on the OK button once done. The main menu will now be visible to you, and just click on the Play button to be presented with the map of levels. Initially, only the first level is unlocked. You can unlock more levels by completing the previous levels or if you are really intent upon playing the higher levels without completing the previous ones, you can unlock them for a small fee (real money is charged for this operation). 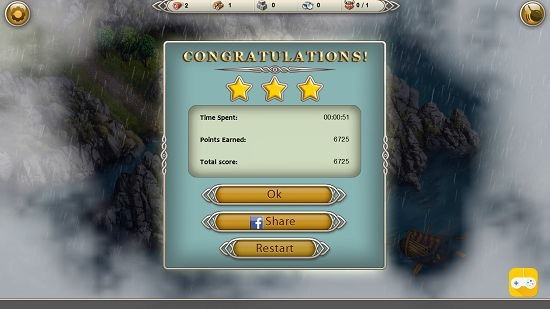 When a level has been selected, the tasks that need to be completed for completing that level will be displayed to you in a neat manner as can be seen below. As I started the first level of the game which was a dark and stormy level, I am presented with graphics that match the same. 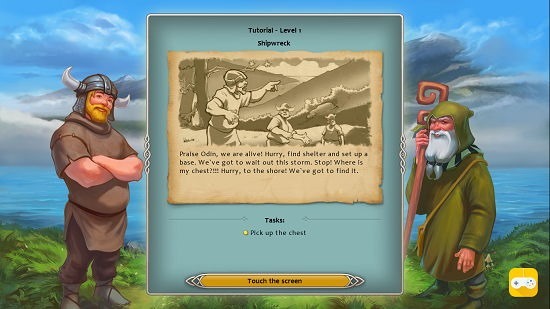 Being the first level, a guided tutorial is also shown. Once the tutorial is complete, you are on your own. You can see the gameplay in the screenshot below. Upon completion of the level, you will be shown how well you did in the level by means of a star rating which can be seen below. 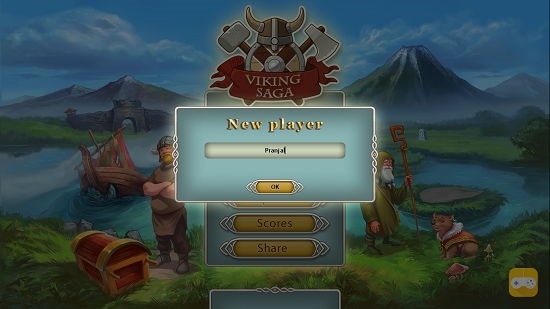 This completes the walkthrough of the main features of Viking Saga for Windows 8 and 8.1. 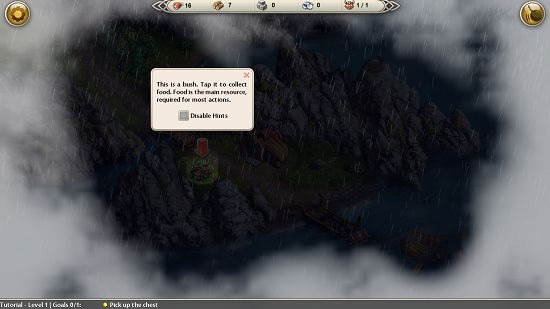 Viking Saga makes for a good download on devices which run Windows 8 or 8.1. You can get it for your device from the Windows App Store by heading over to the link below.